Do you really need a Digital Asset Management Plan? The simple answer: Yes you do! Even the lowly cell-phone-camera shutterbugs need to sort and save their ‘FAVs’ once in awhile. Actually, the complexity of the plan depends entirely on the purpose of the digital image collection. As the risk increases, the complexity of planning and documentation also increases. I highly recommend the innovative and engaging resource at Artsy.net — hosted by Art.sy, Inc. According to its founder Carter Cleveland, the goal was intended “to be the place where every single user in the world goes to discover art online.” Now hosting a tremendous collection of William Blake material. 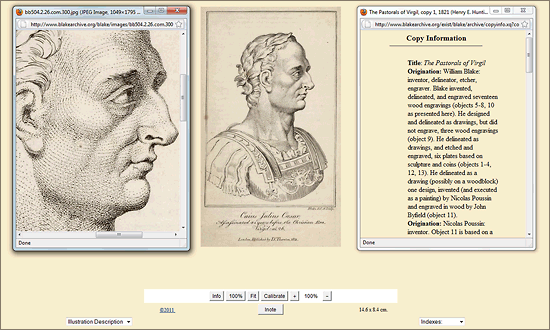 William Blake at Artsy.net – A Usable Interface! After more than eight years in development, Artsy currently features over 800,000 works and 70,000 artists on its site, and more than half are for sale. Artsy partners directly with the world’s top galleries, museums, art fairs, and auction houses, providing collectors and enthusiasts a central resource to learn about and purchase artwork from anywhere in the world. The William Blake page is fully developed, and growing. 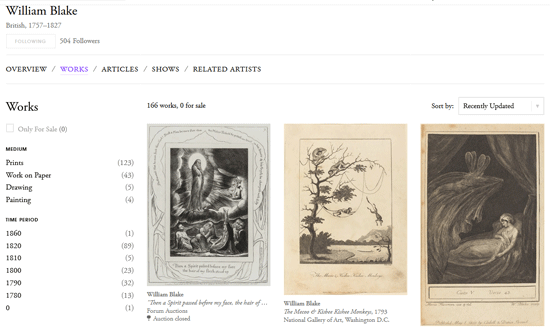 The Artsy interface provides visitors with Blake’s biography, over 160 of his works (most are held by the National Gallery of Art, in Washington D.C.), exclusive articles, and up-to-date Blake exhibition listings. The page also includes Art Genome Project links to related artists and categories, allowing viewers to discover many art treasures beyond Blake. 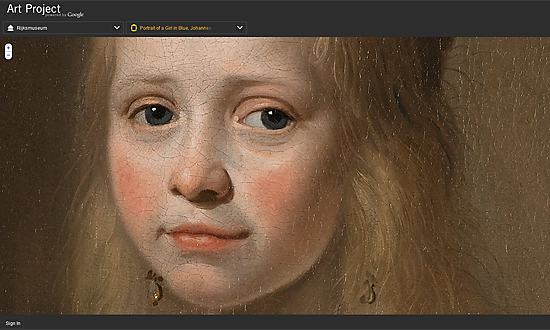 The interface is very detailed and accessible, including a breakdown of Medium, Time Period, Gallery, and Institution holdings. After a recent design make-over disaster, The William Blake Archive is nevertheless a beautiful example of digital preservation for the academic community. The interface is ‘strictly academic,’ or should I say, designed strictly for the serious academic researcher. Sadly, students on-the-go in the 21st century will be far less likely to take the time required to discover its many delightful images, and connect with its superb text descriptions. The help file is helpful, but daunting to say the least. 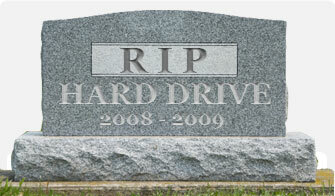 Wouldn’t you want to have the entire Google staff and technical resources on your next digital preservation project? Well, me too. . .
Google: At first they were merely an Internet text and image search tool, and they grew rapidly throughout the first decade of the 21st century. Then came the advent of a completely new advertising paradigm, and they grew richer. Soon they altered the way ordinary people could view the planet, when they introduced Google Earth in 2005.